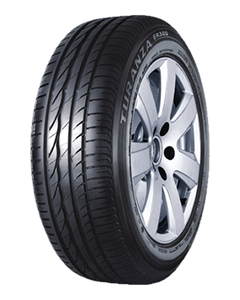 Bridgestone Turanza tyres are designed to complement the engine power and ride comfort of high-performance saloons, estates and GTs. This is Bridgestone's premium touring tyre designed both as factory fitment for leading car manufacturers and as a replacement tyre for luxury and mid-range touring models. We can confidently recommend the Turanza ER300 as the FIRST CHOICE for owners of touring cars who want top-quality handling in all conditions and refined comfort. Top-quality handling on wet and dry .